This past week at Love and Life at Leadora has been very exciting. The drywall in the new bathroom was completed. Be﻿lieve it or not, this bathroom used to be a bedroom prior to the renovation. Currently, all five of us are showering in the master bathroom, and I am so done with sharing!! Hopefully, my dreams will come true! oh my! how exciting! is MacGuyver doing the work? love the paint color! I can't wait to follow your progress. You've got wonderful ideas. this is great! The bathroom and the post. (-: I love everything and the hooks are so, so cute. Georgous paint color - good job! What a lovely plan...I can't wait to see it done. And it really goes with the age of your house! I find that is such a great idea to do. I absolutely love your idea board! I think I should have done one on my bathroom. Yours is going to look fabulous when it's done. 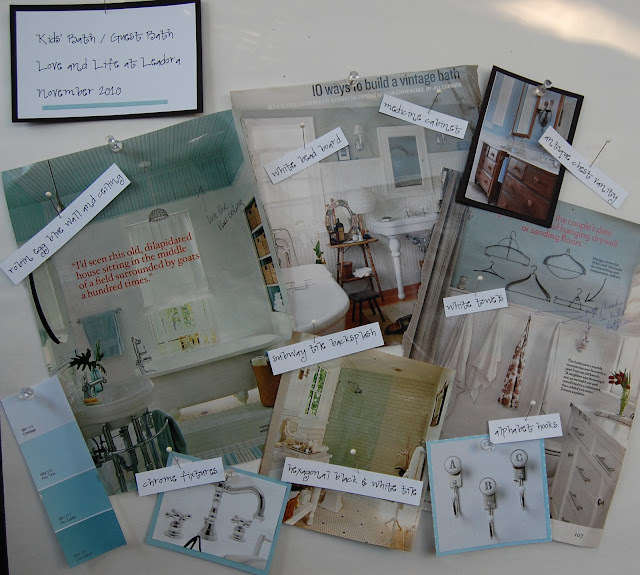 Oh wow, I love the bathroom ideas -- cannot wait to see the final product one day!! 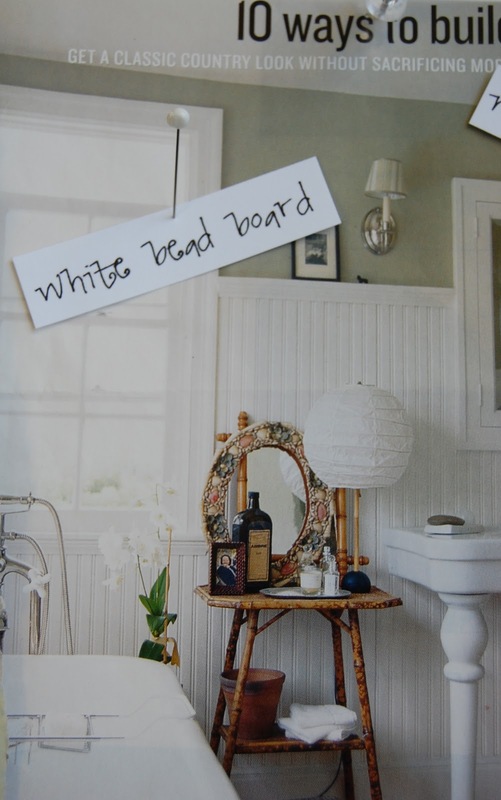 I love your inspiration board, how cool! Beadboard gets my heart racing too. The idea board is great - I have to remember that I I/we ever have our own house and want to work on it. I hope you'll post picture when the bathroom is done. exciting. It is going to look amazing. Ooo, I adore all your inspiration! This bathroom is sure to be a stunner when it is done. :) Can't wait to see the after pics! This is going to be so pretty - can't wait! Your newest follower! Renovations are always very exciting...I love all your inspiration pictures. We have very similar tastes...Our next major home project will also be to renovate our bathroom. Not sure when it will happen, but it is definitely next on the list...And I was also thinking of subway tile, beadboard and white and black hexogon tile...Wow, great minds do think alike...Hee, hee, hee. Can't wait to see it all done. Have fun. Oh my, those pictures are gorgeous...I so hope your dream comes true! Love all those inspiration pictures. that is how I do everything in my life. You gotta believe. Yes dreams do come true! It is so great that your hubb is handy!! Such relaxing colors and I love the inspiration board!